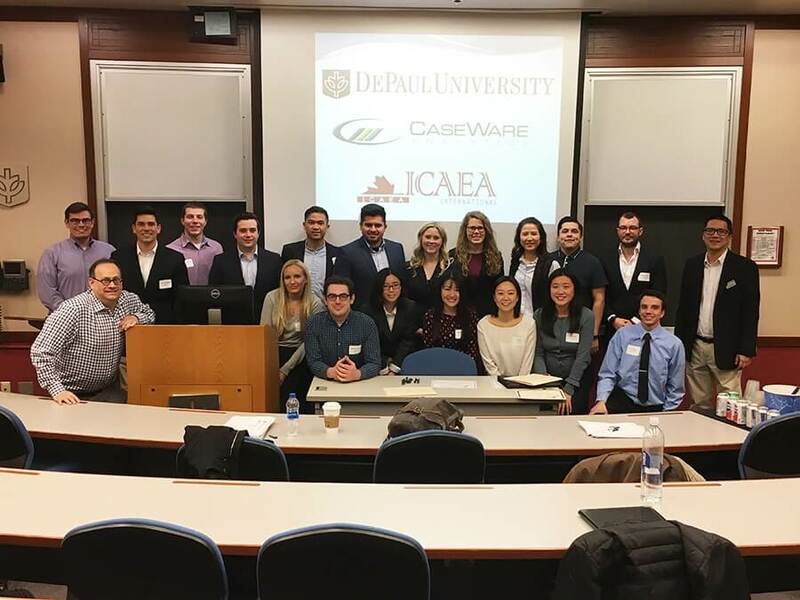 Looking to challenge her students, NIU Accountancy Professor Chih-Chen Lee took two teams to a new Audit Analytic Case Competition hosted by DePaul University. Her students were up for the test. Out of four participating teams from three different schools, NIU’s two teams won first and second places at the Chicago event. “I think winning the case competition affirms that our students have received excellent training through our program, and they will have the confidence to face tough challenges and competitions,” Lee said. The winning team members include Jesse Laseman of Caledonia, Illinois, Matthew LeGare of Darien, Illinois, Gregorius Pradana of Jakarta, Indonesia, and Nai-Yu Shih of Taipei, Taiwan. The second-place team members are Amelia (Amy) Annala of Oswego, Illinois, Patricia Barrett of Cary, Illinois, Adam Worazek of Schaumburg, Illinois, and Martin Alcaraz-Gomez of Elgin, Illinois. Lee chose the students based on her own classroom observations and recommendations from colleagues. She initially intended to form one team but ended up with two teams and a waiting list because so many students expressed interest. In the competition, students were given two and a half hours to work on a case containing a set of transactions from P-cards, or company charge cards, from the state of Oklahoma for the 2013-14 fiscal year. The dataset had more than 450,000 records. The students had to identify potentially fraudulent transactions and internal control weaknesses, and offer recommendations. Each team had to write a one-page summary and create a 15-minute presentation from slides. Two professionals from public accounting firms judged the competition.